It’s 2018 and Ariana Grande, Nicki Minaj, and Blake Shelton are pointing us in the direction of a revolution in video content. The three pop megastars and more have all experimented with the concept of the vertical music video. Vertical Video? Isn’t that just for those crazy teenagers on Snapchat? 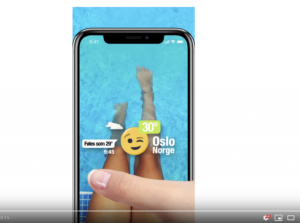 In September 2018, YouTube announced that they would begin showing vertical ads in their app. Brands such as Hyundai and Adidas have tested the new format, playing around with its advantages. ESPN has even started shooting a version of SportsCenter, their flagship program, vertically. Now that 70% of YouTube’s content is viewed on mobile platforms, it’s only time that they started taking advantage of the full canvas instead of losing prime real estate to the eyesores of the black frames. We mentioned back in our “Video Marketing for Millennials” blog how social media content has become its own unique format. In the early days of Instagram and Twitter, you typically saw one of two types of videos: the handmade DIY clip or the professional widescreen video scaled down. There was really nothing in between, until now. The breathtaking displays we are now accustomed to on mobile devices have been game changers for video production teams. They’ve changed the way we interact with advertisements and featured content alike by capturing the viewer’s attention through beautiful video catered to mobile devices alone. 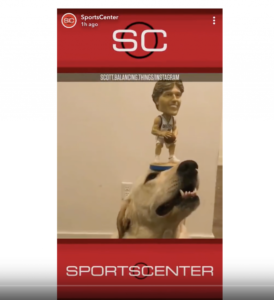 It’s been nearly a decade since the vertical video trend took off on Snapchat, and now we’re seeing it evolve in a way that no one had quite anticipated: as an advertising standard. That’s right! Vertical (9:16) and square video formats have now become must-have formats in the video production industry. When used effectively, adding text in a video can be an incredible storytelling aid. With 9:16 video, text can give the video a poster-like quality that really packs a punch when delivering a message. Like texts, animations help you make the most of your limited screen space. Snapchat, Instagram, and Facebook all offer thousands of filters, stickers, and geotags that offer up an unforgettable experience. If you’re looking for something more professional, incorporating your own customized animations will give the video content the natural commercial feel that you’re looking for. Speaking of natural, vertical videos fall seamlessly into your News Feed. 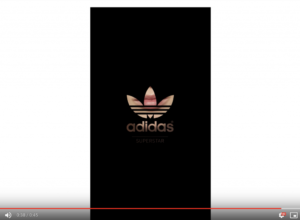 Instead of awkwardly loading a horizontal video before turning your phone 90-degrees, the vertical ad lends itself to perfectly to the phone’s natural orientation. When capturing the audiences’ attention, doesn’t it just make sense to have a video that takes up most of the screen? Why do we use vertical video? Well, vertical video is nothing all that new to us. 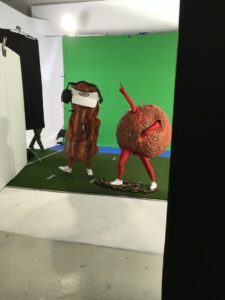 Back in 2016, when shooting a Super Bowl campaign for TUMS, we got our first taste of the benefits of adding 9:16 to our arsenal. Since then, when companies ask us for 9:16 options, we know exactly what to bring to the table. Recently we’ve done work shooting promos for fashion lines that require vertical video. What this means is making sure the set is well-centered, as well as providing a vertical client monitor so that everyone on set has a sense of what the finished product will look like. When building a brand, it’s essential to be accessible to your base. For businesses big and small looking to market on mobile platforms, a smart place to start is by reaching the viewers organically and comfortably. So why make video content that are watched on horizontal interface used only 6% of the time? Maybe it’s time to go vertical.